At Tramp Stamp Granny's, Darren Criss tickles the ivories as buds like Jon Hamm, Emma Stone and Maggie Gyllenhaal sing along. Mia Swier and Darren Criss partnered with Danny Massare to make their dream a reality. 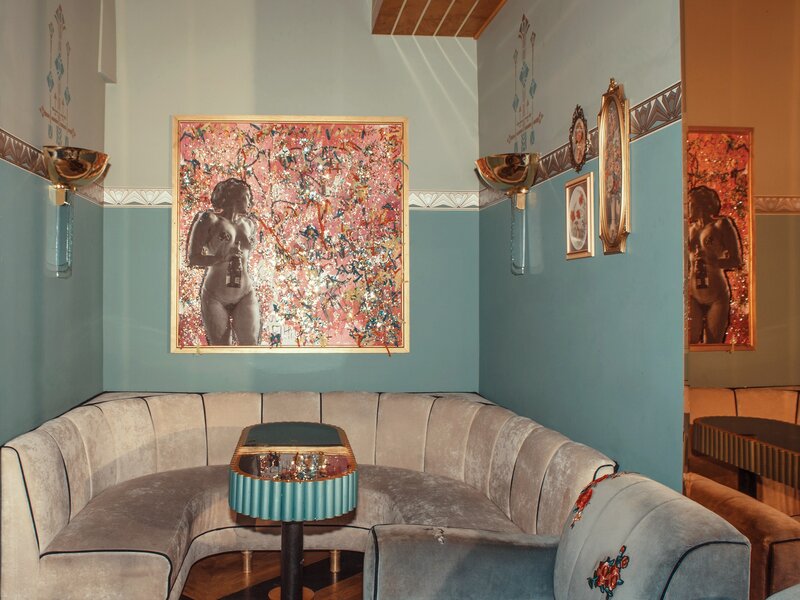 The avant-chic art and retro furnishings in Tramp Stamp Granny’s set the bar apart from others in Tinseltown.